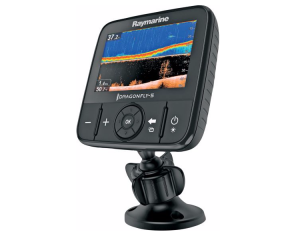 For a long time, Raymarine has been a trusted source for big boat, saltwater oriented fish finders and sonar equipment. 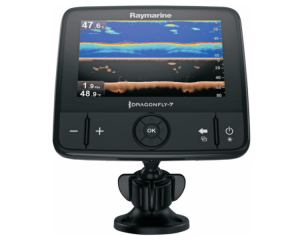 With the release of the Dragonfly series of fish finders, Raymarine has jumped into the freshwater market. 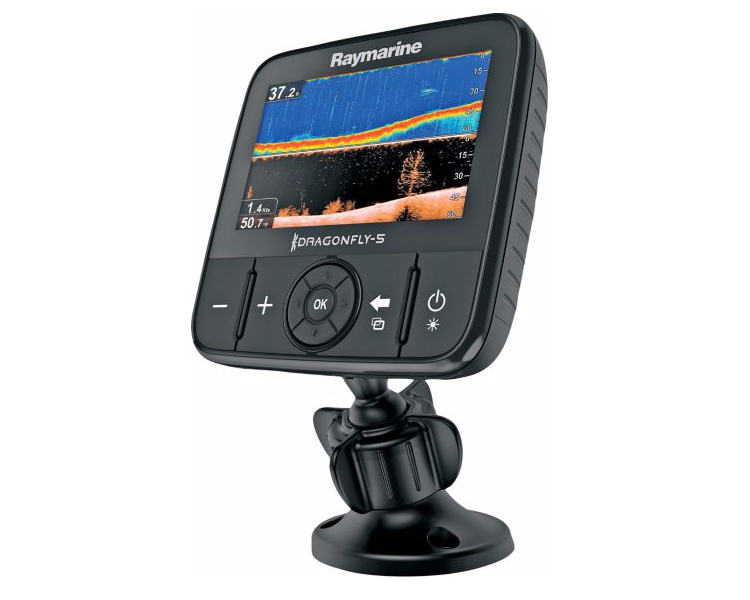 Dragonfly features high resolution displays and cutting edge CHIRP enhanced DownVision sonar, all at an attractive price to weekend anglers. 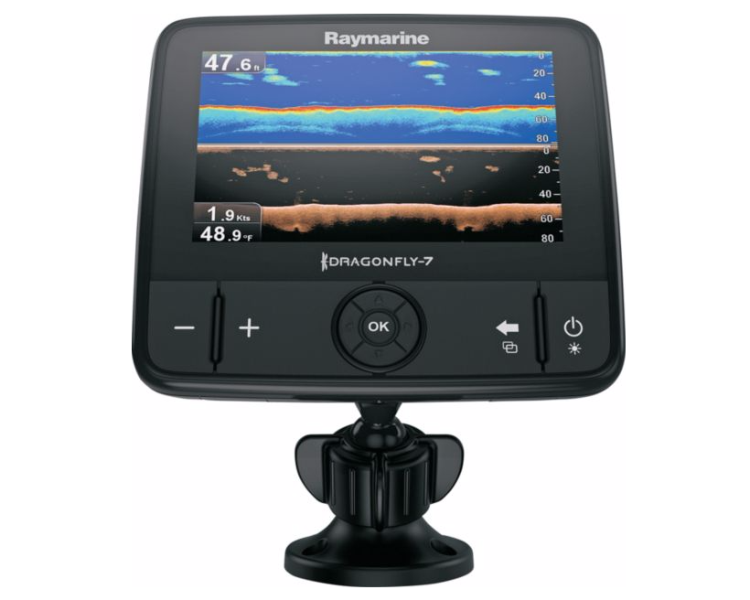 Is one of these Down Vision fish finders right for you? 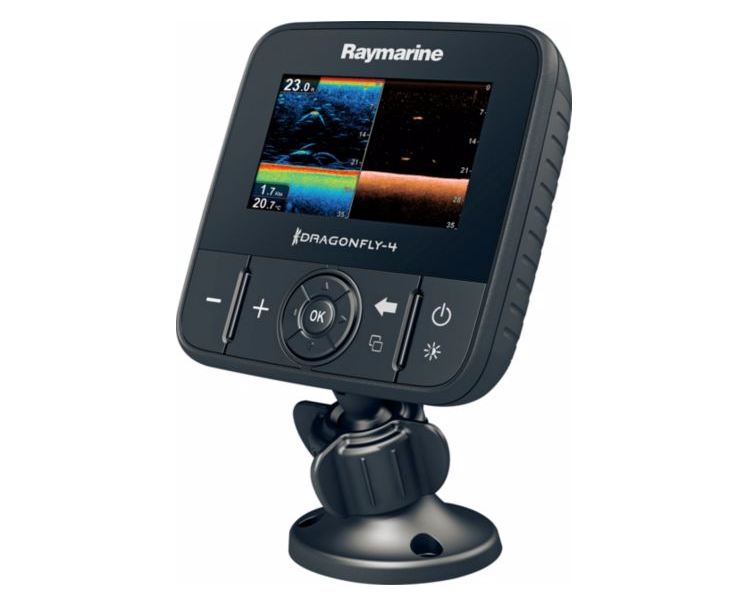 Our Raymarine Dragonfly review will help you answer that question, as well as give you a primer on making the most of the excellent capabilities provided by the CHIRP enhanced DownVision. 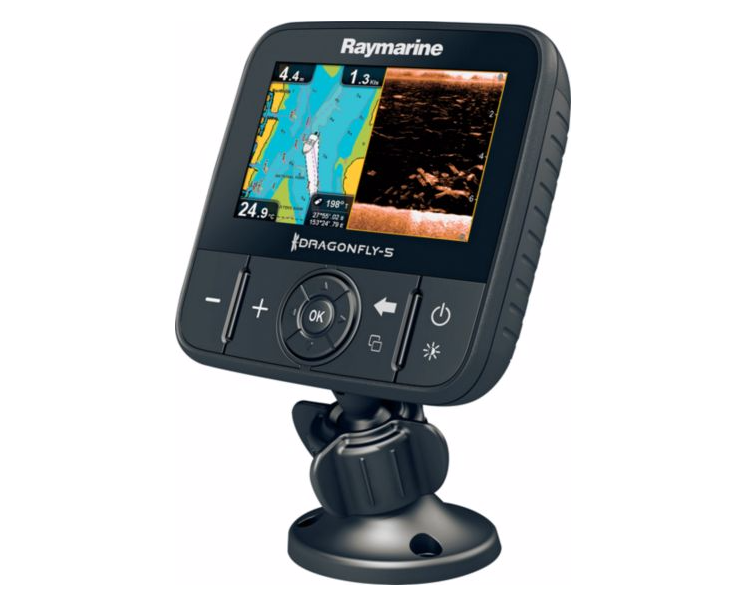 The CHIRP enhanced DownVision is without a doubt the biggest selling point of the Dragonfly series. The high resolution 3D-like images that are posted everywhere are pretty awesome looking. DownVision looks great, but when you add CHIRP capability, you end up with serious technology in an affordable package. 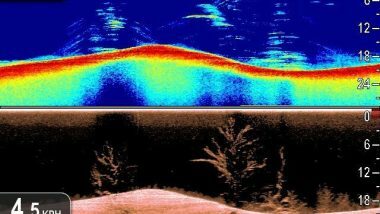 Anyone from weekend anglers to professional guide services will benefit from the amazing pictures and super easy to use interface. Just how easy is it to use? Well, there are only 3 buttons, plus a center dial and button (joystick on the 6 and 7 models). 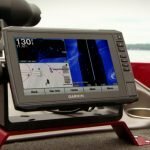 Comparing that to the 9 or more buttons on its competitor’s fish finders, and that should ease your mind if you are not as “tech savy” as others. The dial changes you through the different views of DownVision, CHIRP sonar, GPS mapping, and split screens combinations. 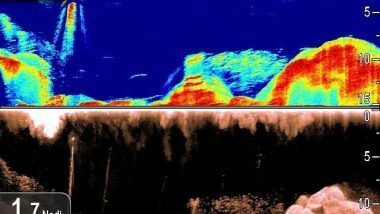 I especially like the split screen CHIRP and DownVision for the best in structure and fish finding. 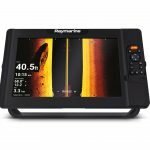 There are many other choices for a good down imaging or CHRIP fish finder. 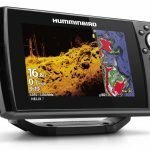 Each major manufacturer like Garmin, Humminbird, and Lowrance has their own take on the technology. 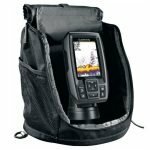 Check out our reviews of those companies’ fish finders below to compare the fish finders you are interested in side by side. 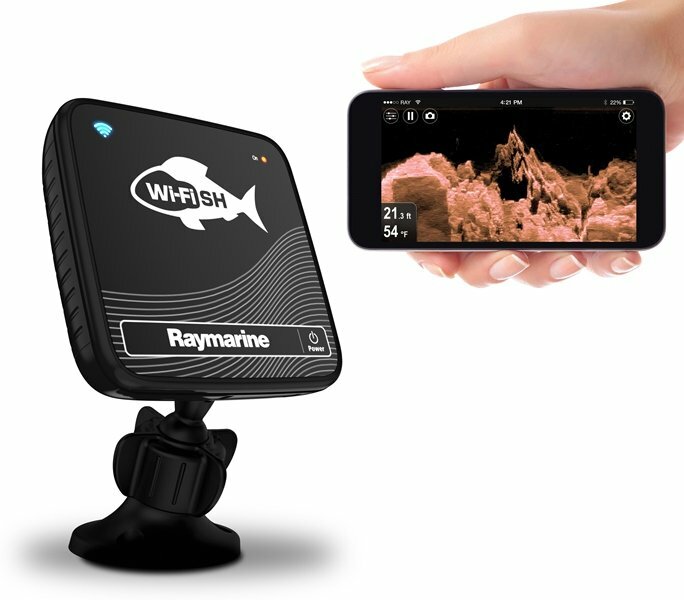 Wi-FISH – For this year, Raymarine added the “Pro” models that are capable of live streaming your fish finder to your smartphone or tablet. 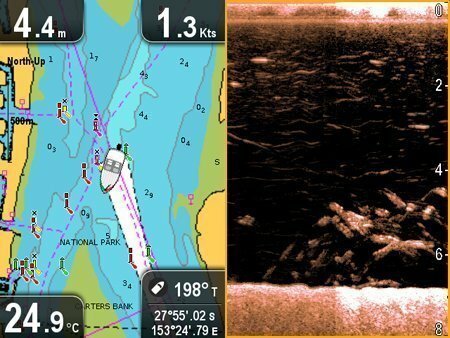 All you need to do is download the Wi-FISH app on iTunes or Android and you can stream your sonar directly onto your smartphone or tablet. Wi-FISH Black Box – Or you can buy the Wi-FISH Black Box Sonar and use your phone as the fish finder. The Wi-FISH Black Box comes with the same CHIRP DownVision transducer as the Dragonfly units, and the “black box” is what talks to the transducer and sends the sonar to your Wi-FISH app. It’s a really slick idea when you think about it! 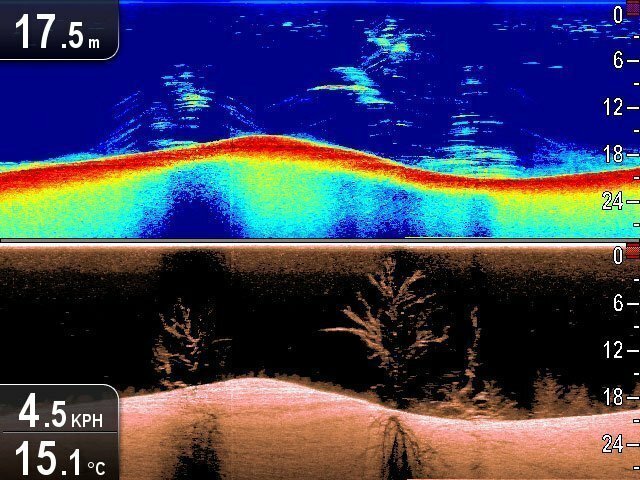 Optically Bonded Displays – Part of why the Dragonfly fish finders look so darn good is because of their bonded displays. Bonded means they use an optical gel material in between the screen glass and the LCD display. This allows all of the brightness to come through and makes it much easier to view at all kinds of angles. 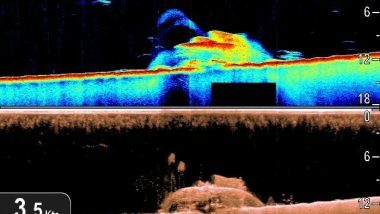 The other benefit is having your fish finder fog up will be a problem of the past for you. 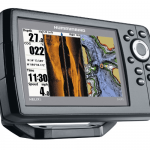 MicroSD Reader – You can purchase Navionics Gold, Navionic Plus, Hotmaps, SonarChart, or Jeppesen C-MAP for your Dragonfly fish finder. Just pop in the map card into the MicroSd slot and you’re good to go. Ball & Socket Mount – I love this little mount on the Dragonfly 4 and 5. It’s like a built in RAM mount, making it dead simple to turn and angle the display to just about anywhere you’d possibly need it. It’s also very strong as it uses friction instead of plastic ratchets to turn and angle the unit. The Dragonfly transducer really looks nice. It features a long and narrow streamlined body which I’m sure is great for minimizing water turbulence. The cable exits the very back of the transducer, and routes cleanly behind the mounting bracket. I like this because it doesn’t leave a loop of cable that could get snagged on anything in the water or while on your trailer. The mounting bracket looks pretty robust. There is a solid looking plastic pivot mount that screws into your transom, and a second piece that allows the transducer to ratchet up or down to create the proper angle for the sonar beams. 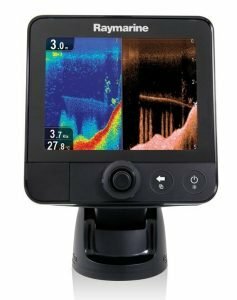 If you need a trolling motor mounted transducer, they have them on their website. 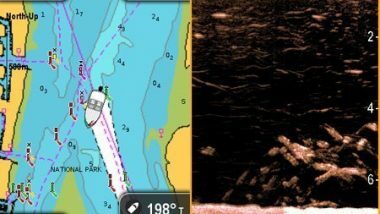 According to Raymarine, there are two sonar elements in the CPT-DVS transducer. 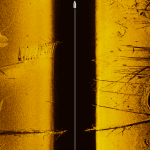 The first is narrow 1.4 degree super wide beam that produces the DownVision images and the second is for producing the cone shaped beam of the CHIRP sonar. 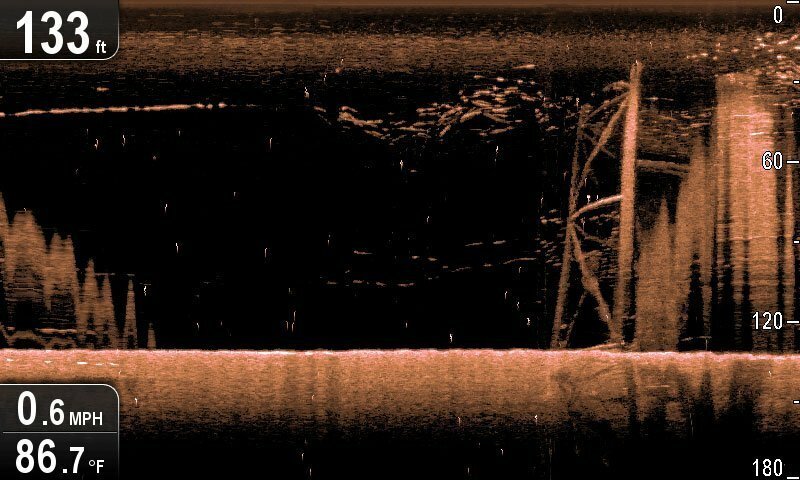 The cables are 4 and 6 meters long, depending if you get the Dragonfly 4, Dragonfly 5, or Dragonfly 7. I can only assume the 7 gets the longer cable, as the website was unclear. Should you Buy a Dragonfly? Thanks to the simplicity of use, ease of install, and the crisp Down Vision and CHIRP images, the Raymarine Dragonfly fish finders have built themselves a loyal following. 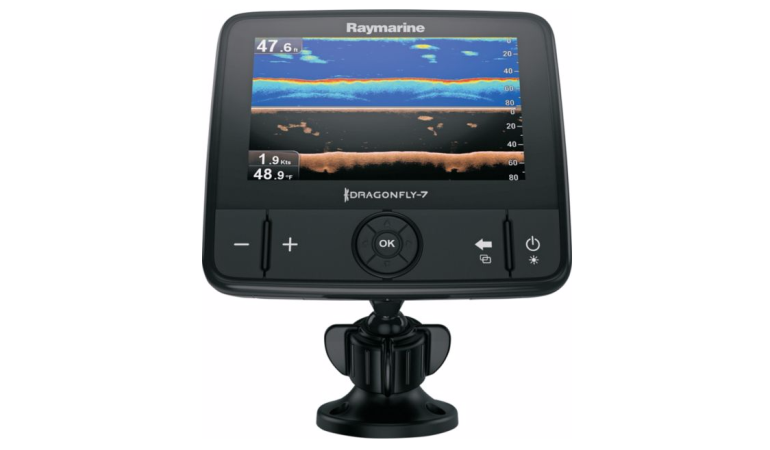 I think any of the Dragonfly models would be a good fit for a kayak fish finder, or on the console of your fishing boat. I’d say put it on the console because Down Vision works and looks the best when you are idling. 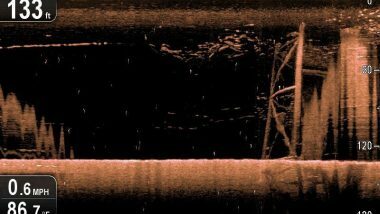 Of course, you might just like the Dragonfly so much that you end up putting one on your trolling motor to get those sweet pictures at the bow while fishing. I purchased a new dragonfly 5. It turns on and off. The mounting bracket won’t hold it tight. 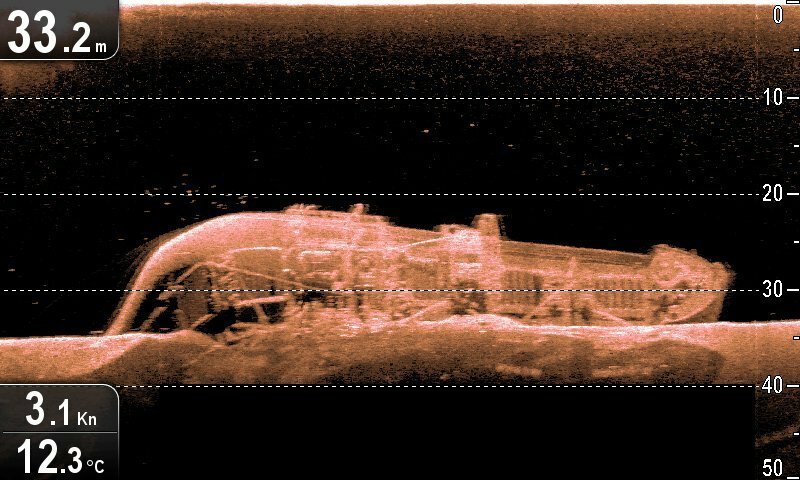 It doesn’t read when boat is in motion. 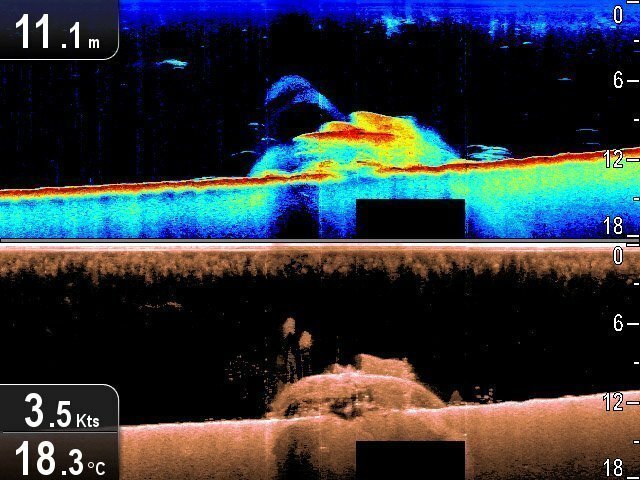 Should have bought a Lowrance instead. Don’t waste your money. 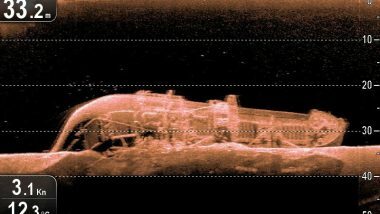 Piece of junk. 1. Is it turning off when you start the motor? A faulty battery can cut off the unit. 2. Haven’t seen any problems with the mount before. 3. 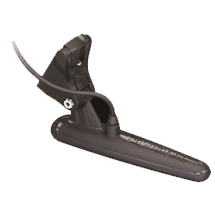 If your transducer is mounted too high, it will come out of the water. If it really is a faulty unit, you should return or exchange it. 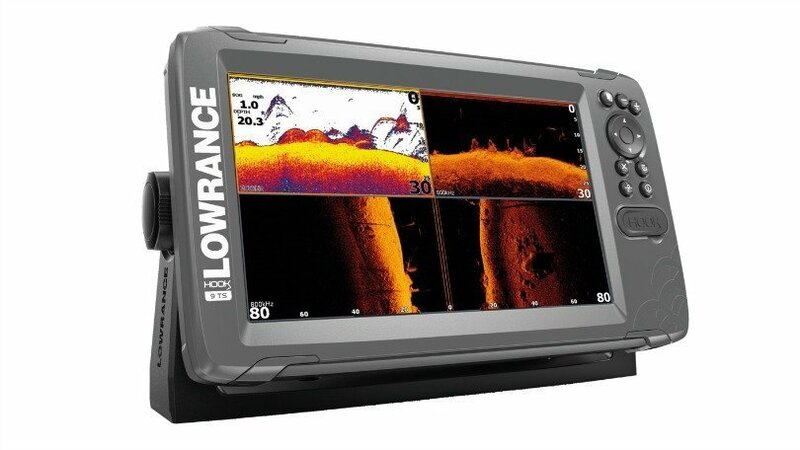 and a Lowrance won’t necessarily be the answer to all your problems. 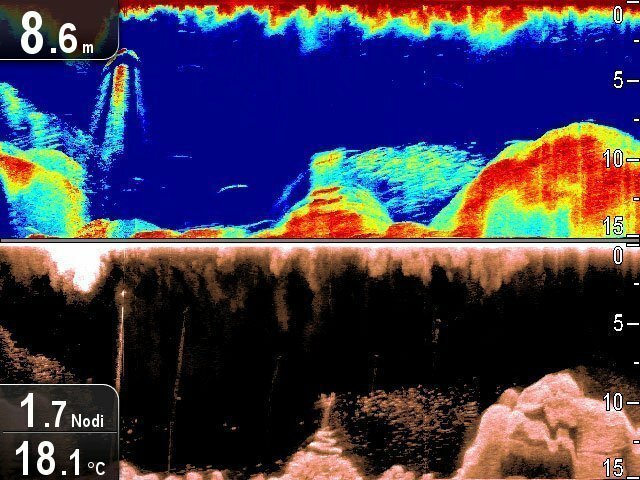 I have had two of the Dragonfly Fish finder/Sonar units(since they came out) and they are impressive. 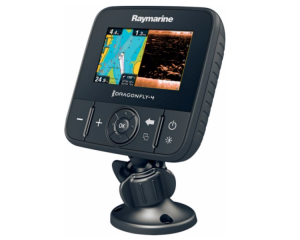 The issues Robert claims to have are very uncharacteristic of my experience with the very well constructed brand of Raymarine. 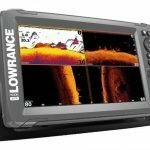 I would go sofar as to say its the best all-round finder/sonar I have had the pleasure to buy and own in all my years(Lowrance & Hummingbird Inc.), and 10 plus boats geared up with Finder/Sonar units, and the toils we put them through on a day to day basis, and anyone who says they are “a piece of junk” is defiantly not to be taken seriously. 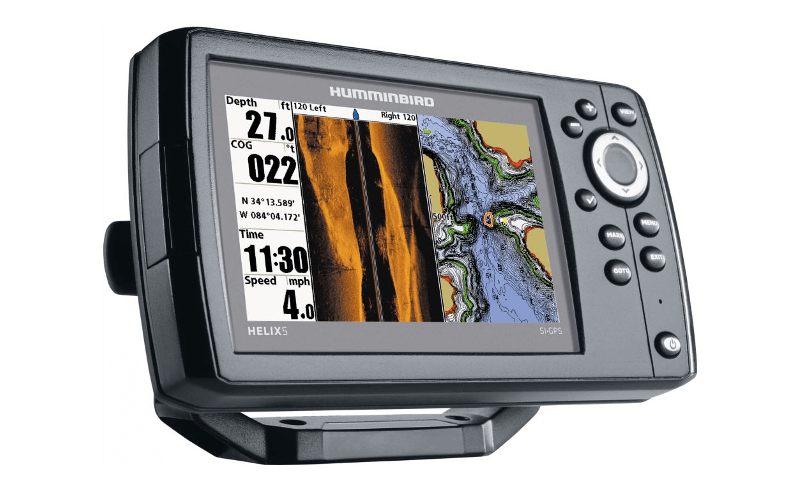 The impressive images and ease of use make these units a stand out among the rest. But do not take my word for it, buy one install it and use it, and I expect your experience will mirror most others and you will also be impressed. 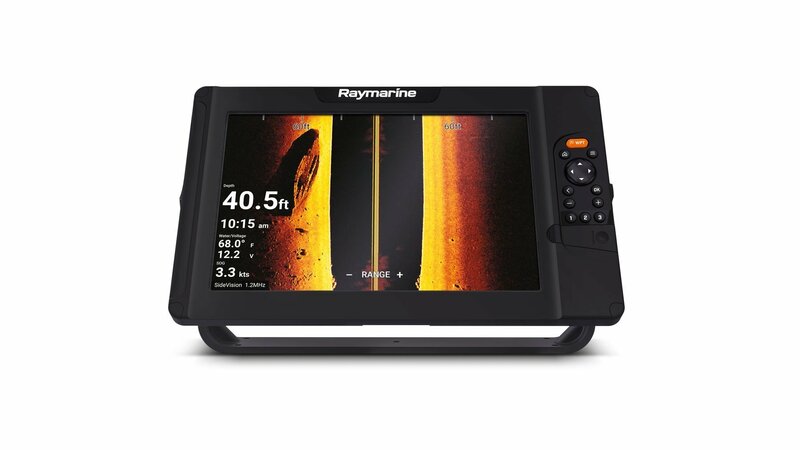 (And most reputable Dealers offer 30 day money back guarantee on all Raymarine Fish Finder/ Sonar units), so your satisfaction is guaranteed. Just my two sents worth….Have a good day.